Every year, carpenter ants cause extensive damage to homes in the Portland, OR and Vancouver, WA metro areas. These sneaky pests seek food and shelter in our homes and businesses, wreaking havoc on wooden structures along the way. PestLock has the ant control information to help you detect and eliminate infestations in your home or business. Our humid climate in the Pacific Northwest creates the perfect atmosphere for ants. The carpenter variety seeks out any wood in which to build nests. Needless to say, copious amounts of rain and damp weather in general make for plenty of wet trees, wood piles, and other places for ants to nest. Unfortunately, they sometimes choose to set up colonies inside our homes. 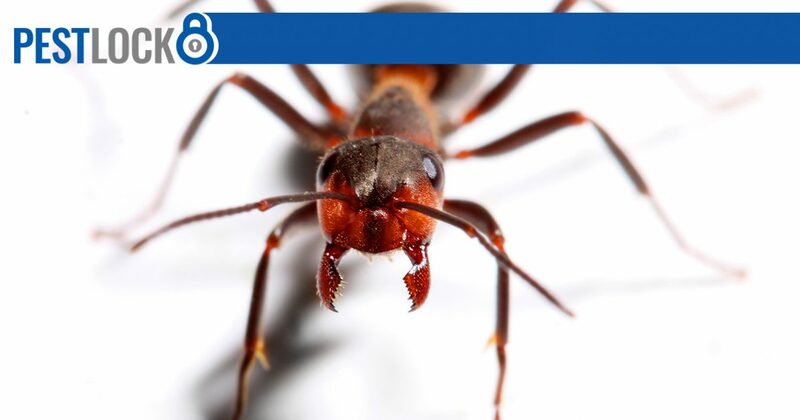 Although you may see a swarm of black winged ants coming out of the walls, moldings, or baseboards in your home, the absence of worker ants doesn’t mean your home is carpenter ant-free. Spotting one or two live ants doesn’t mean you have a full-fledged infestation; however it is important to have an expert inspect to verify Ants sometimes travel far from their nests to forage for food. If you suspect a carpenter ant infestation, enlist the aid of a professional ant control company. Don’t let carpenter ants destroy your home and deplete your nest egg. Infestations don’t have to spell disaster when expert ant control treatments are just a phone call away. Whether you’ve spotted a swarm or have experienced one of the many other tell-tale signs, eliminating carpenter ant infestations is as simple as scheduling an appointment with PestLock. We proudly serve residential and commercial customers in the Portland, OR and Vancouver, WA metro areas.